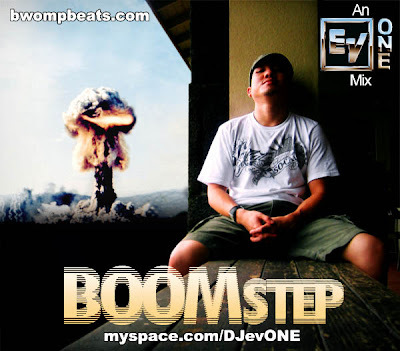 BOOOOOMING MIX FROM LA's EV-1. !!!!!! Great crunky / glitch-hop / dubstep selection. I like such a combination of various bass heavy music and if they are served in a tight and top-notch way, well I could only smile and nod my head even deeper with appreciation or even stand up and move my joints a bit. Fortunately I'm at home on a sick-leave and no f..g corpo square co-slaves will prevent me from doing exactly this :) Give it a try - everyone will find something interesting and 'moving' there - trust me! Kudos for including tracks by Mochipet, Clouds, Akira Kiteshi, Balkansky in the mix - love all of these dudes! !